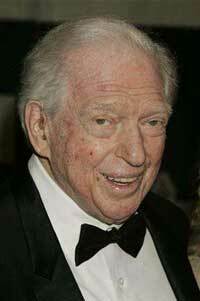 Sidney Sheldon, an Oscar-winning Hollywood screenwriter who went on to become one of the world’s most prolific novelists, died in California on Tuesday at the age of 89. Sheldon died of complications from pneumonia at the Eisenhower Medical Center in Rancho Mirage, near his Palm Springs home, said Sean Rossall. Sheldon’s books, with titles such as “Rage of Angels,” “The Other Side of Midnight,” “Master of the Game” and “If Tomorrow Comes,” provided his greatest fame. They were cleverly plotted, with a high degree of suspense and sensuality and a device to keep the reader turning pages. 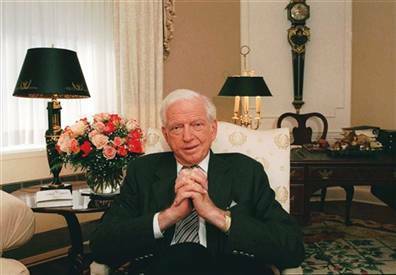 Several of his novels became television miniseries, often with the author as producer, the AP reports. Sheldon became an American icon in the 1970s with novels like The Other Side of Midnight and Bloodline, bestsellers spun out of international intrigue and the sexual liberation of the era. Strong women were often the main characters. But before his career in fiction took off after turning 50, the Chicago native had made his mark in Hollywood movies and television and in Broadway theatre. After heading to Los Angeles at 17, he started as script reader at major studios, and then had three Broadway musical hits by the age of 25. His big break came five years later in 1948 when he won an Academy Award for original screenplay for The Bachelor and the Bobby Soxer starring Cary Grant and Myrna Loy. Working as a screenwriter at both MGM and Paramount Pictures, Sheldon went on to write 25 films including Easter Parade, showcasing Judy Garland and Fred Astaire, Annie Get Your Gun, Jumbo, and Anything Goes, featuring Bing Crosby. In 1963, he turned to the fledgling television industry as screenwriter for The Patty Duke Show and followed up in 1964 by creating, producing and writing the hit show I Dream of Jeannie. In 2005, he wrote his memoir The Other Side of Me in which he offered a rare glimpse into the lives of stars like Grant and Garland. As a child born during the Depression to parents who dropped out in third grade and rarely read books, Sheldon considered his writing success somewhat of a miracle. Sheldon is survived by his wife, Alexandra, a daughter, Mary and a brother Richard. This entry was posted on Monday, February 12th, 2007 at 7:55 am	and is filed under Blogroll, Celebrity News. You can leave a response, or trackback from your own site.